What is the Jam Cards? The Music Thinking Jam Cards is an inspirational card set for changemakers, pattern recognisers, innovators, transformers and natural collaborators. Because we all need extra inspiration, use the jam cards to trigger your ideation session, co-create your purpose, define your design challenge or lay the foundations of your company’s culture or brand story. 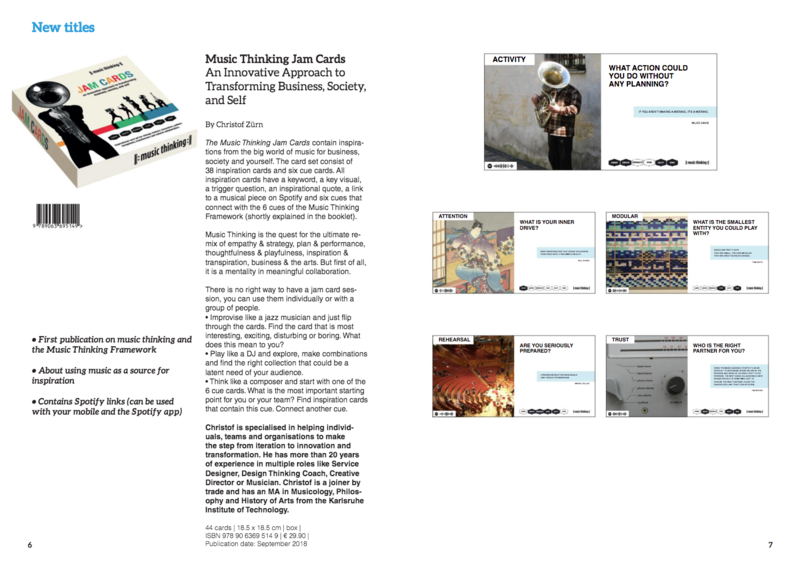 The Music Thinking Jam Cards contain inspiring triggers from the big world of music for business, society and individuals. a sonic trigger (link to a musical piece on Spotify. Here is an introduction on how to play Spotify codes of the Jam Cards). There is no right way to have a jam card session, you can use them individually or with a group of people. Amidst all the predictable ways you can run a workshop, here is something new and inspiring. The cards provide a great set of prompts for exercises and you can also connect each card to a music code which then opens on Spotify. I love music as a metaphor for an innovation process. We’re already using many words borrowed from music in innovation anyway, such as orchestration or jamming. Music Thinking gives you a truly unique and common language to innovation. It’s simple – and, actually therefore, genius! Because the Jam Cards are quite open-ended they don’t really need specific instructions on how to use them. 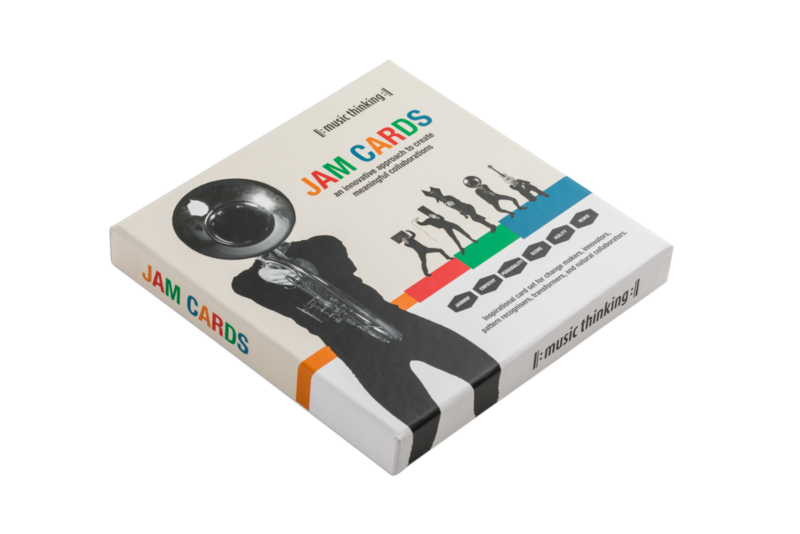 This means that the Jam Cards can be used to shape your own exercises and workshops, which is challenging and fun. Because some people might find this confusing we created three ways of using the cards to help you to get an idea of how you can use them in workshops. There is a blog post with a description of three variations, what your Jam Card session could look like: Serendipity Lab, Mix & Match, Strategy Jam. You can order the jam cards via your local bookstore (worldwide) and have a nice chat with the people there and try the cards right away. You can buy them directly from the publishers at BIS Publishers.